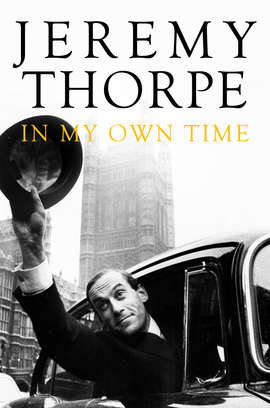 One of the most charismatic politicians of his age, Jeremy Thorpe recalls important events and episodes from his life in politics in this fascinating collection of anecdotes and reminiscences. In it he speaks candidly about important national events in his personal life and political career. For the first time Jeremy Thorpe speaks of his trial and acquittal in 1979. He puts on record his account of the coalition talks with Edward Heath in 1974 and describes the debilitating effects of Parkinson's Disease from which he suffered.